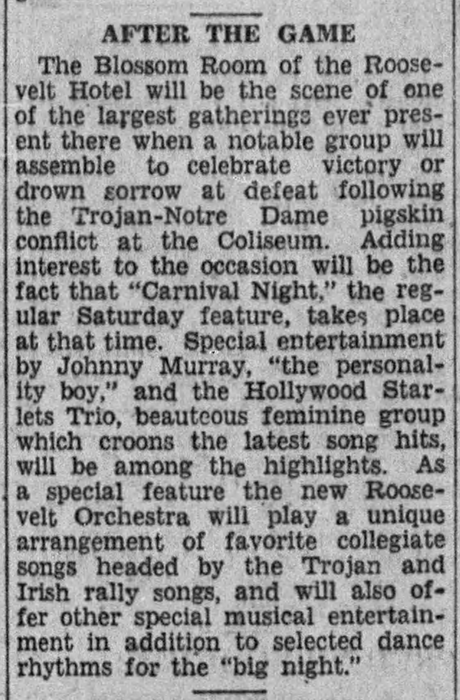 December 6, 1930: Another notice that appeared in the “Los Angeles Times.” It notes the “Hollywood Starlets Trio” as one of the acts currently playing in the Blossom Room of the Roosevelt Hotel in Los Angeles. 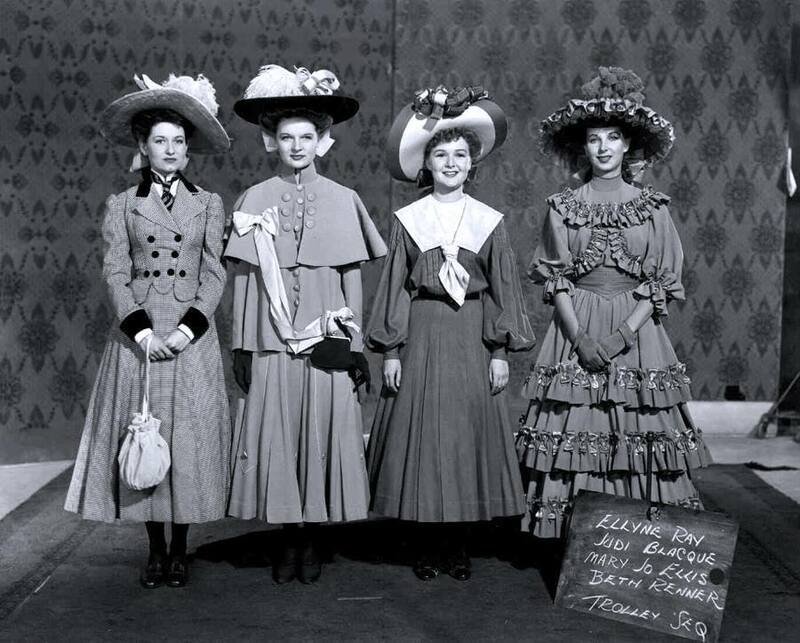 Judy and her sisters had gone by the name “Hollywood Starlets Trio” off and on during this time at various hotels and theaters and other venues. There are no records with exact dates for these Roosevelt Hotel appearances by the sisters but it’s safe to assume from the various notices that they performed there, possibly not every night, from November 20th through December 6th. 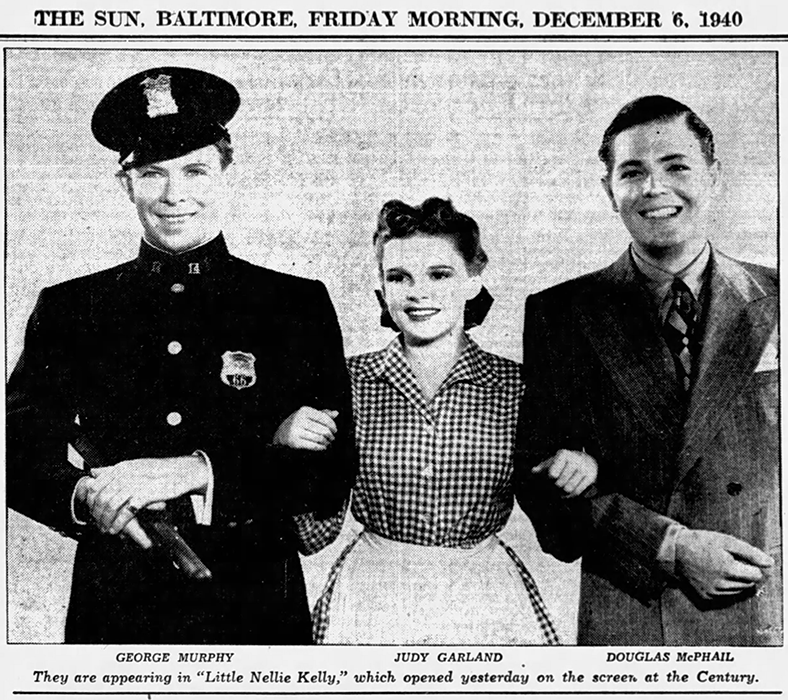 December 6, 1937: Here’s an amusing article about Judy becoming a “baby Martha Raye.” It also bemoans the fact that Judy’s co-star in Thoroughbreds Don’t Cry, Sophie Tucker, did not sing in the film. December 6, 1940: Here is Judy’s favorite recipe for a vegetable salad which is what she ate three days a week at MGM. Of course, this is pure fantasy whipped up by MGM’s Publicity Department. However, the recipe looks like a good one although it’s unclear just how many green peas are to be added. December 6, 1942: More clippings for For Me And My Gal. 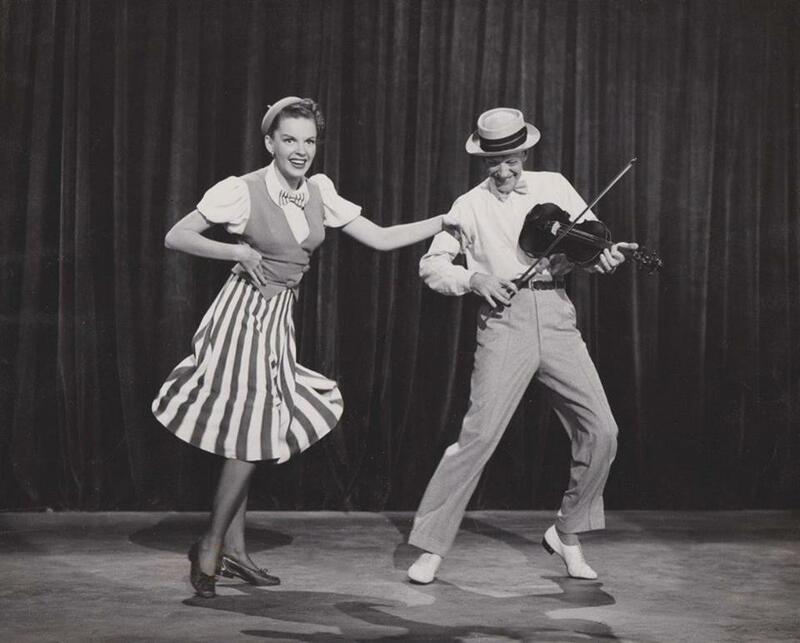 December 6, 1943: Meet Me In St. Louis filming consisted of camera and dress rehearsals of “The Trolley Song.” Time called: 1 p.m.; dismissed: 5:30 p.m.
December 6, 1947: The second day of filming the “Vaudeville Montage” (specifically the “Ragtime Violin” section) for Easter Parade with Judy and co-star Fred Astaire. 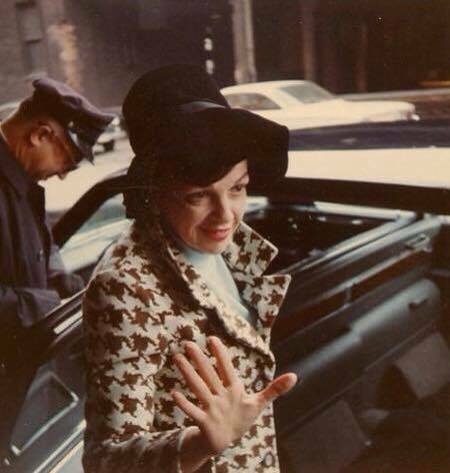 Judy was in makeup at 7 a.m.; on set at 9 a.m.; dismissed at 2:45 p.m. Check out The Judy Room’s Special Spotlight on Easter Parade here. 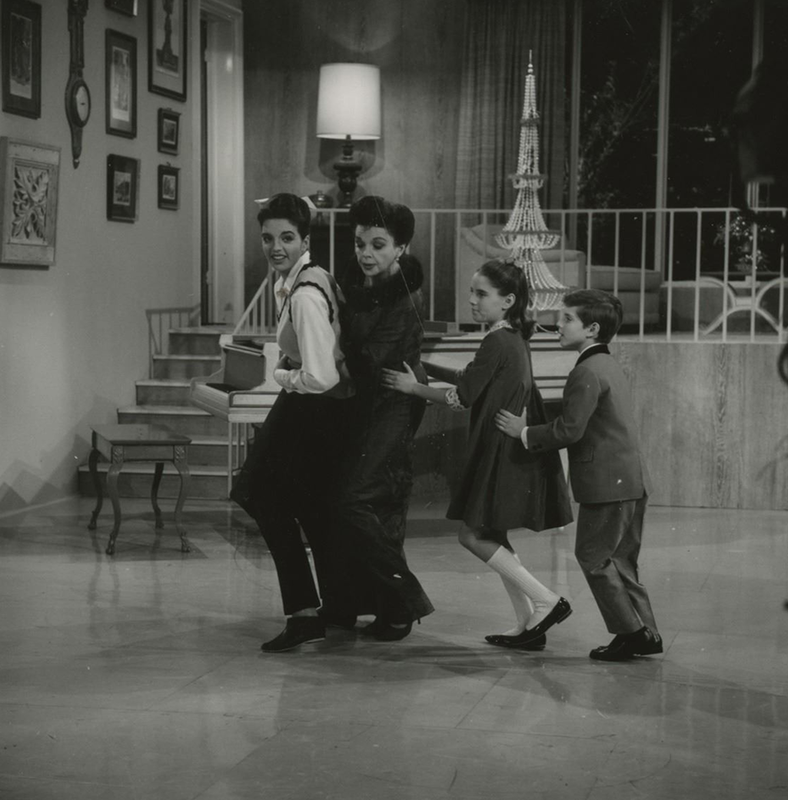 December 6, 1948: Judy’s daughter, Liza Minnelli, filmed her screen debut playing the role of Judy and co-star Van Johnson’s daughter for the end shot of In The Good Old Summertime. 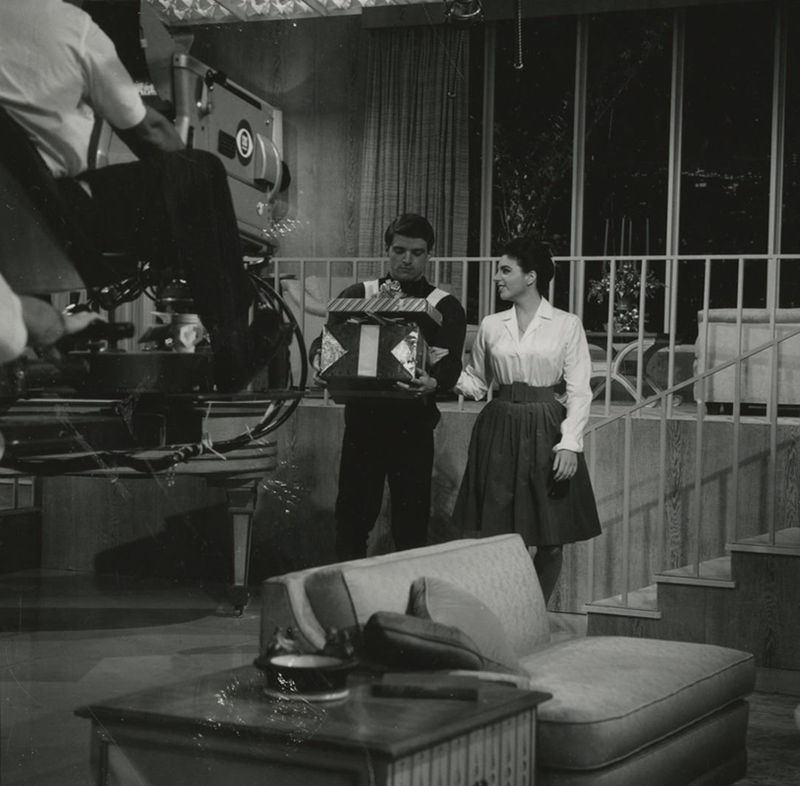 It’s unclear if Liza was on set filming just this one day or if there were subsequent days of filming. Due to her young age (two and a half) and the fact that the shot is so short, they most likely only needed this one day. 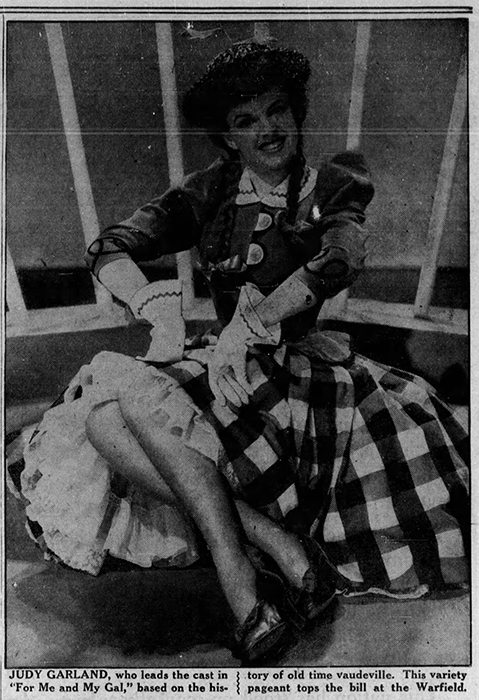 Quite a few photos were taken on this day and published in magazines in early 1949. The above is a small sampling. 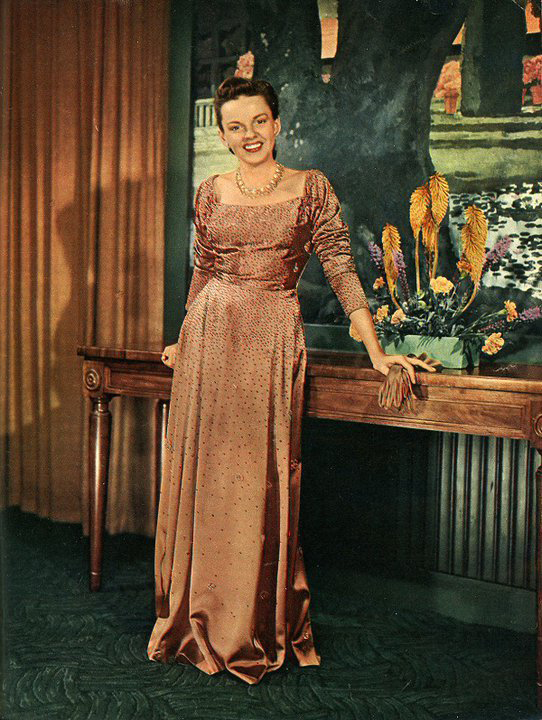 December 6, 1950: Judy’s third appearance on “The Bing Crosby Show” aired. 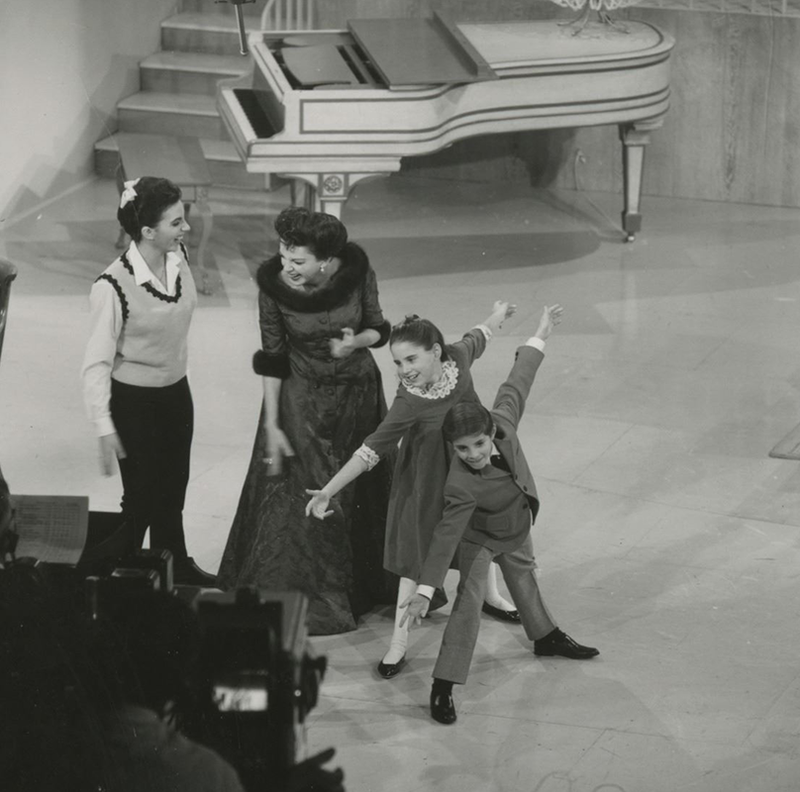 The show was recorded on December 2, 1950. 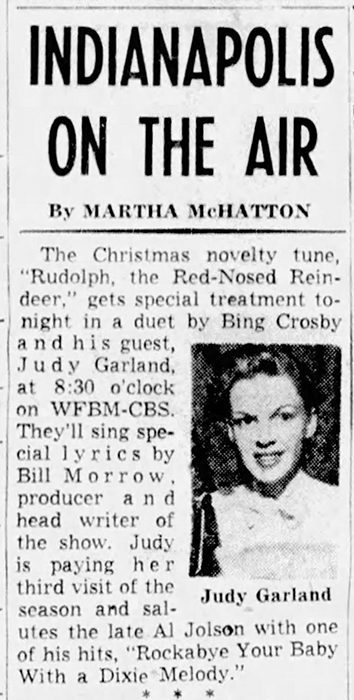 Judy and Bing’s duet on “Rudolph, The Red-Nosed Reindeer” is a fan favorite. 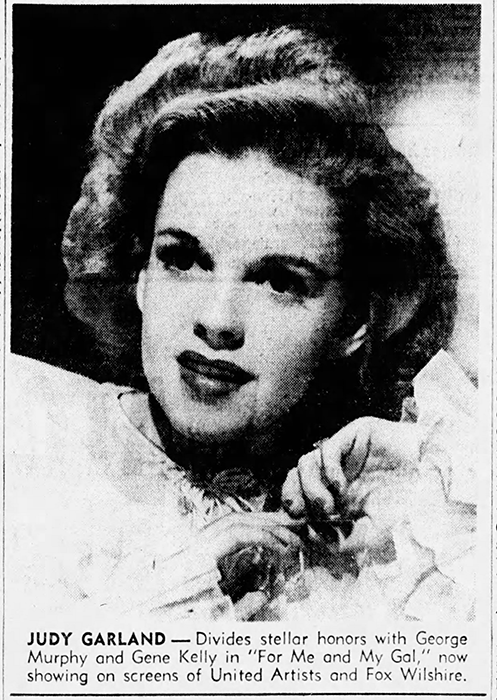 December 6, 1950: Did Judy return to MGM for a visit after having just left the studio for good that previous September? 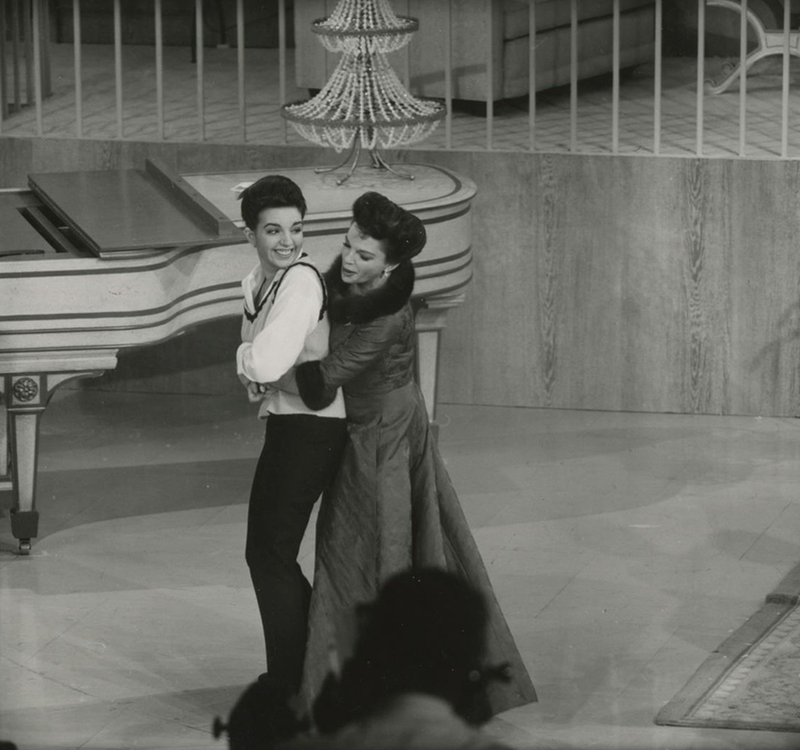 According to Harrison Carroll’s column, she did return, to visit the filming of the ballet sequence in An American In Paris by her husband, director Vincente Minnelli. 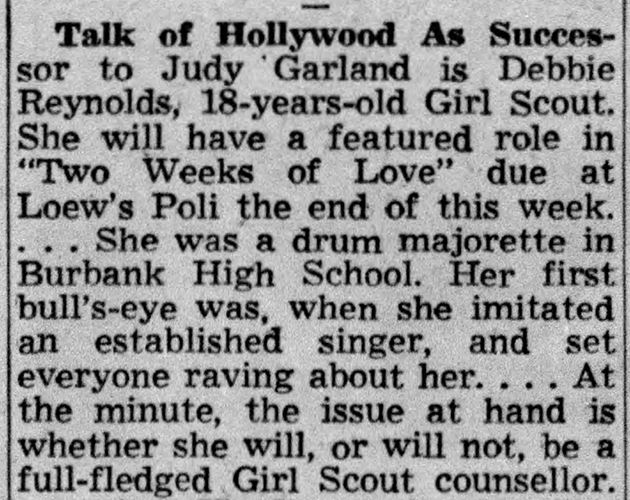 Also published on this day, as well as during this time in general, was the talk of young Debbie Reynolds being Judy’s successor at MGM. Almost immediately after Judy’s break with the studio, columnists and just about everyone else in Hollywood speculated about who would fill that void. 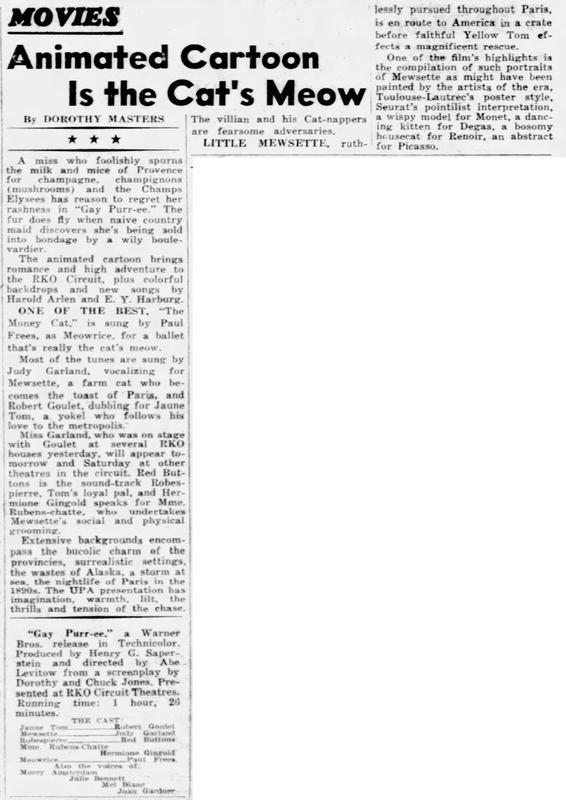 Reynolds was the top contender. 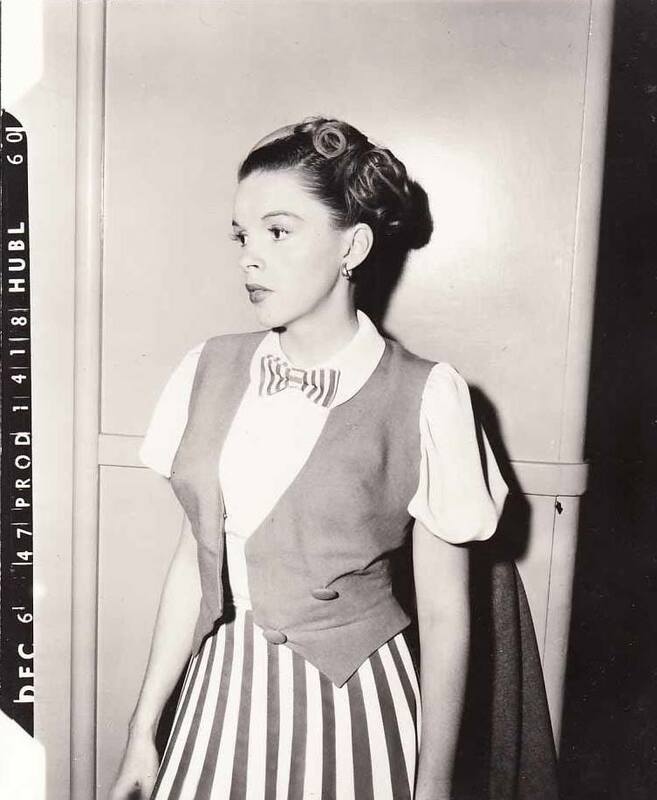 However, it should be noted that the roles Reynolds played would have gone to Judy had it been the early 1940s but by this time if Judy had stayed at MGM she would have been given the high profile, and more mature, leading lady roles, not the ingenue roles. 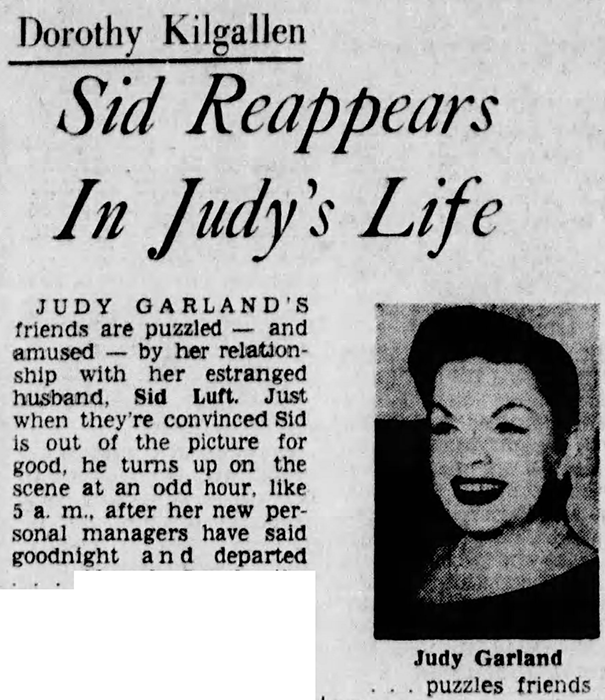 December 6, 1961: The continuing drama surrounding the on again, off again legal battles and separations and reconciliations between Judy and husband Sid Luft played out, of course, in the papers. 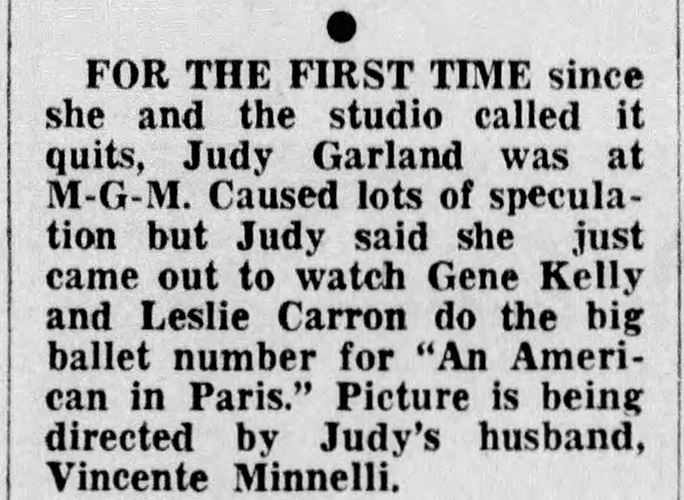 December 6, 1962: Two reviews of the recently released animated film Gay Purr-ee, Judy’s only animated voice work. 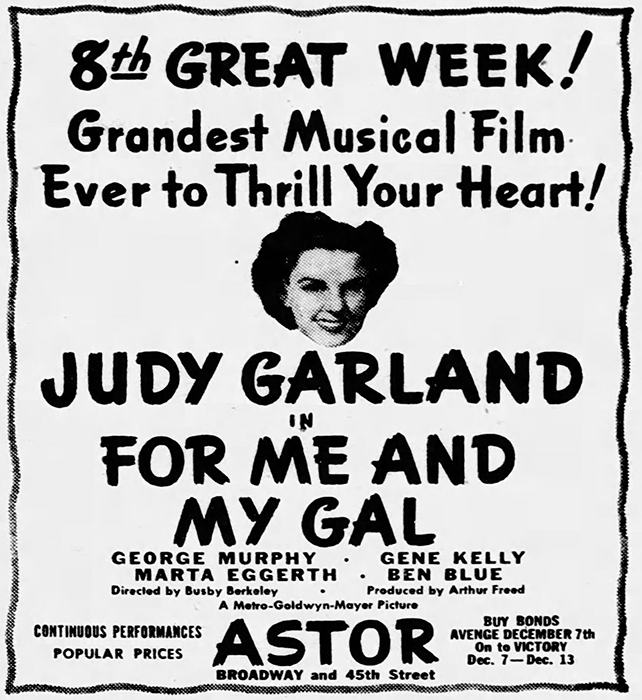 Singled out after Judy’s vocals was the film’s fantastic artwork. 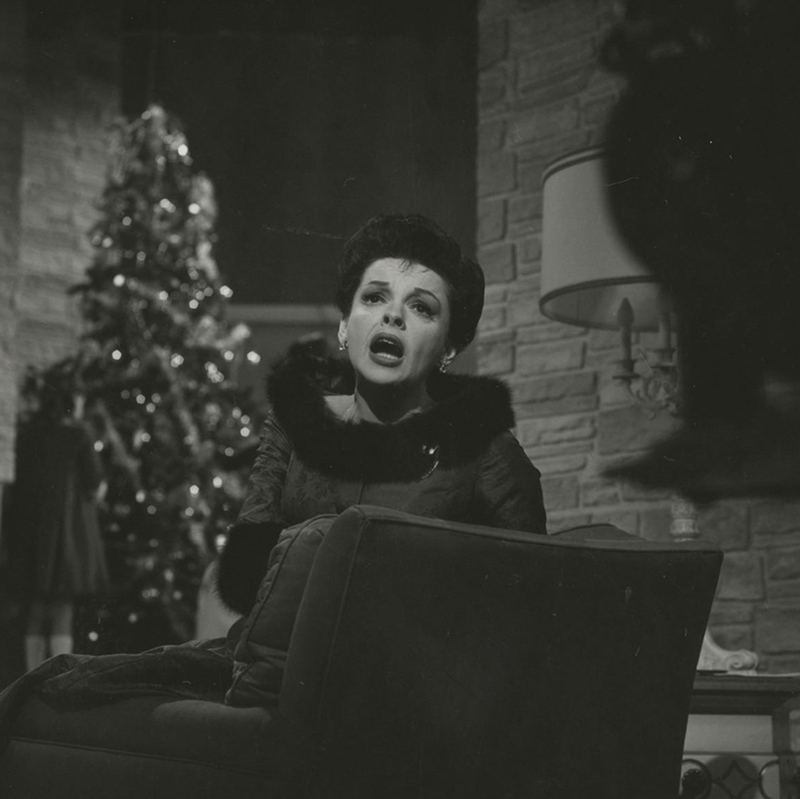 December 6, 1963: Videotaping of both the dress rehearsal (from 5:30 to 7 p.m.) and the final performance (from 9 to 10:30 p.m.) of “Episode Fifteen” of “The Judy Garland Show” at CBS Television City, Stage 43, Hollywood. 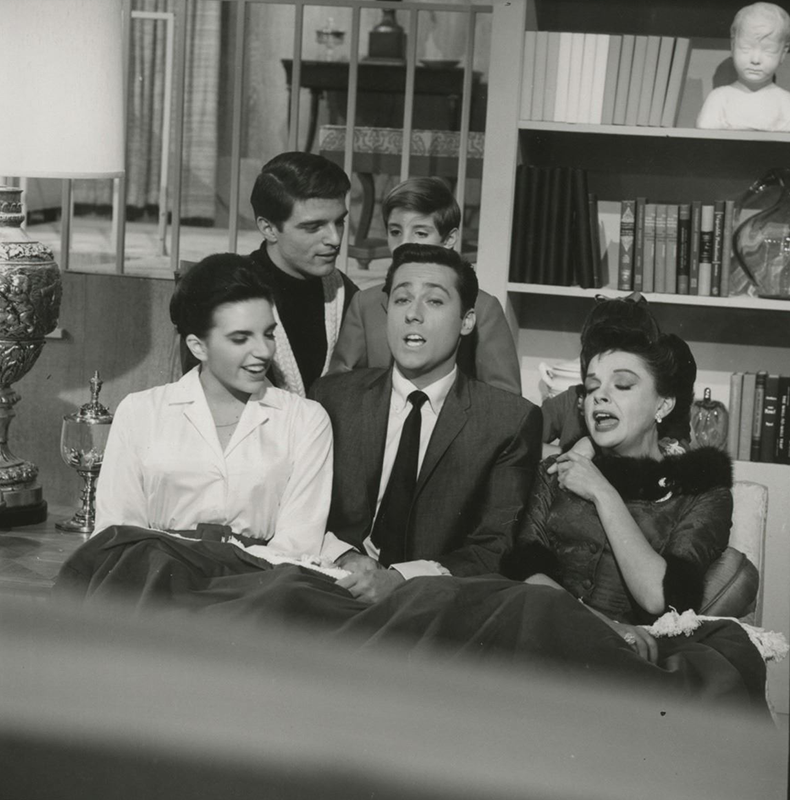 This episode is generally known as “The Judy Garland Christmas Show.” Judy’s guests were Jack Jones, Mel Torme, and her children, Liza Minnelli, Lorna Luft, and Joey Luft. Dancer and “Liza’s beau” Tracy Everitt also joined the festivities. 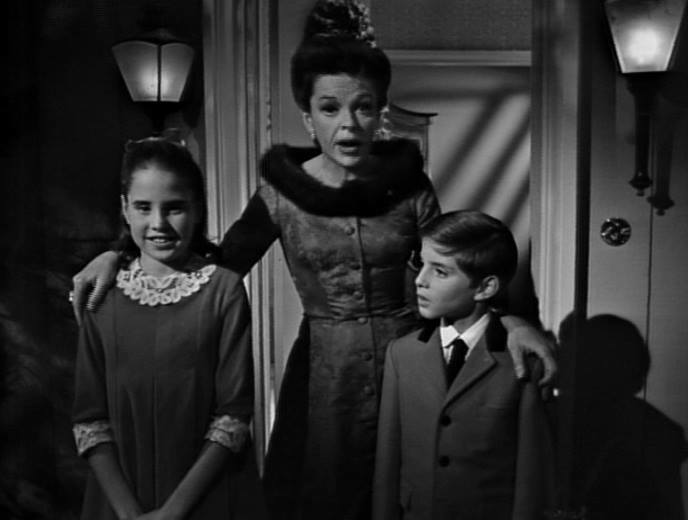 Judy always claimed that this was her favorite episode and it’s no wonder. 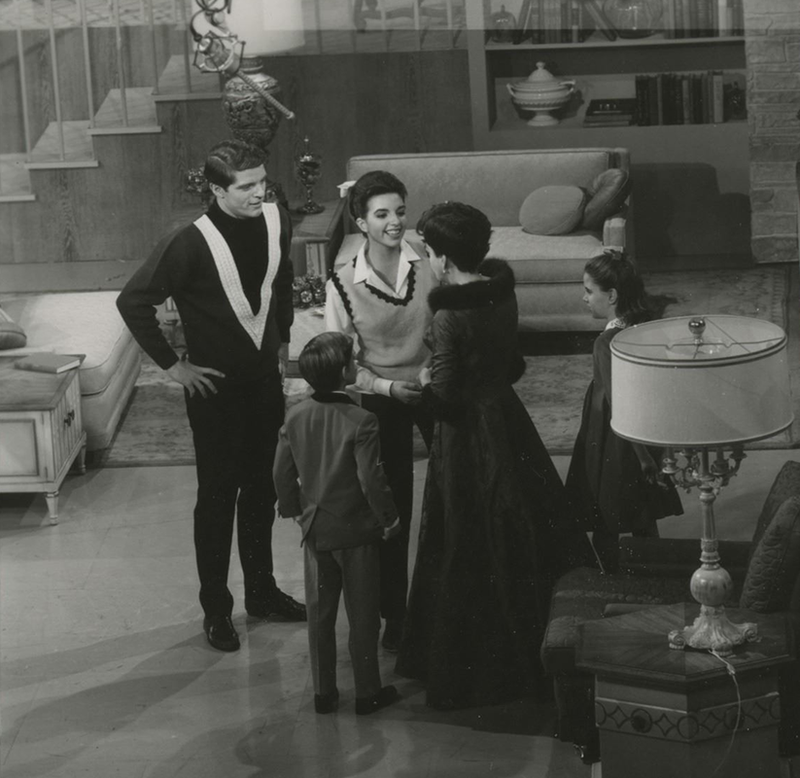 She’s surrounded by her family in a very intimate and homey (albeit on a soundstage mock-up of her Brentwood living room) environment. 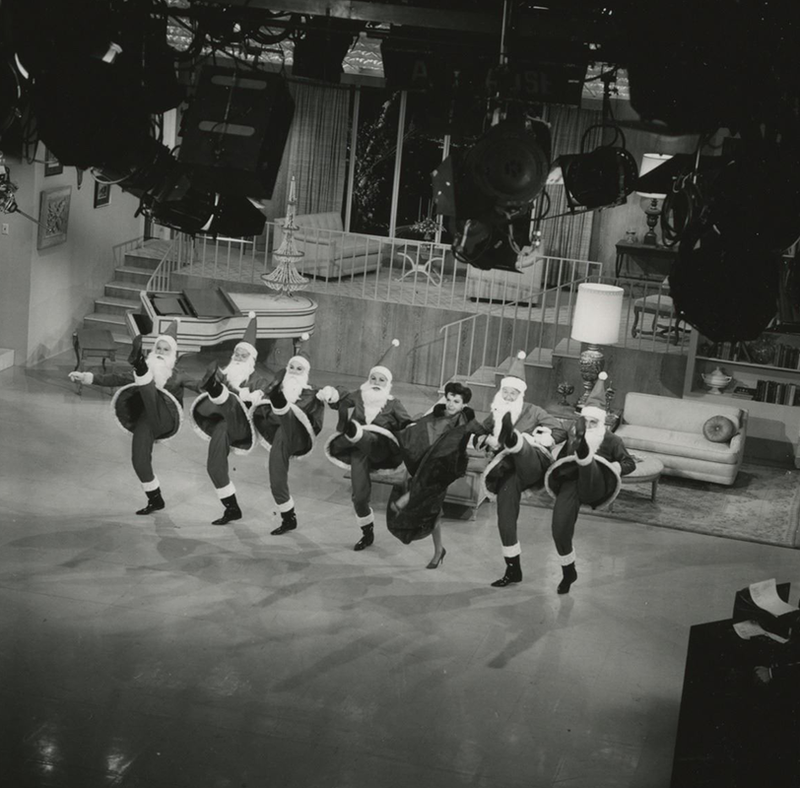 The show aired on December 22, 1963. 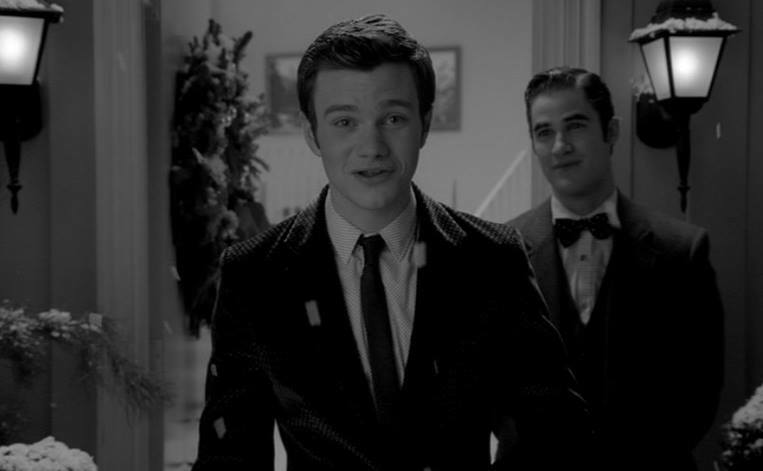 In 2011, the popular musical TV show “Glee” paid homage to the show by recreating the set and having its characters become a part of the show, in black and white, semi-recreating some of the original show’s scenes such as the opening with Judy (“Kurt” in “Glee”) welcoming everyone to the show/set, “Blaine” singing in the window, and so on. If you haven’t seen it, check it out, it’s a good show. December 6, 1968: Judy and John Meyer went to the movies to see Funny Girl starring Barbra Streisand. Judy fell asleep during the showing. 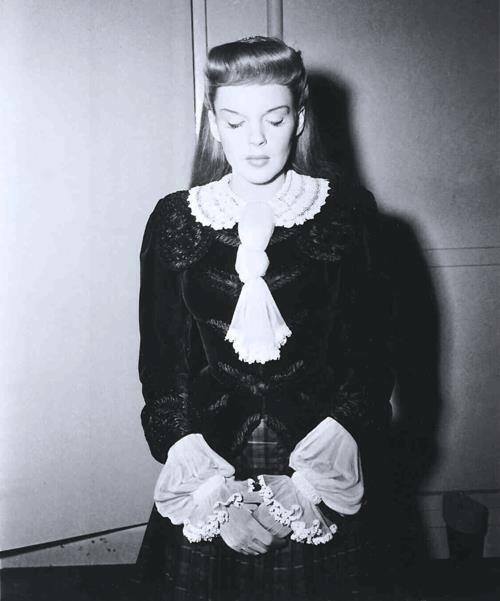 Apparently, Judy had fallen asleep at a few other films. Later this night she told Meyer that she fell asleep due to the fact that she wanted to be up there on the screen singing or acting. It’s more likely at this point that her medicines were the culprit. 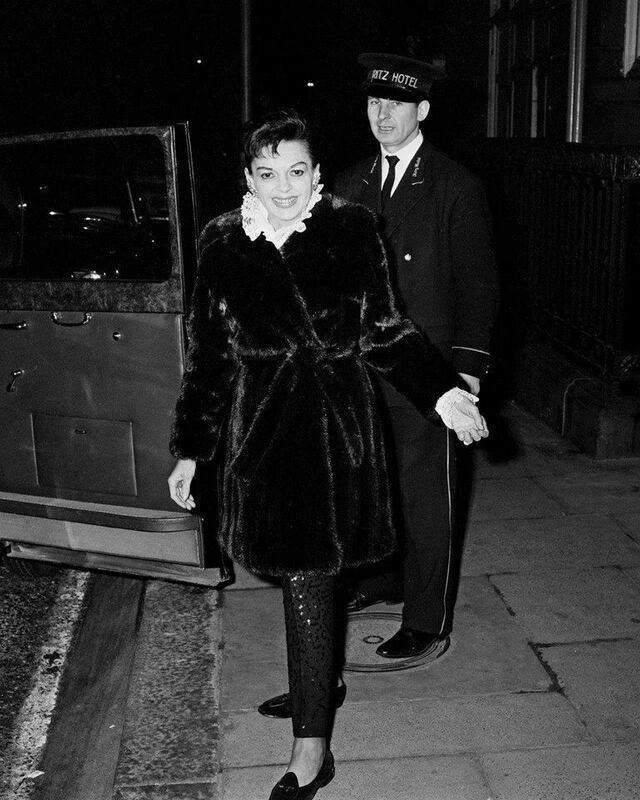 Photos: A couple of snapshots of Judy from 1968, the latter taken in London.